The 9-hole Cross Creek Golf Club in Tallahassee, FL is a public golf course that opened in 1990. Designed by Devoe Moore, Cross Creek Golf Club measures 1121 yards from the longest tees. The course features 2 sets of tees for different skill levels. The 18-hole East/North at Killearn Country Club in Tallahassee, FL is a private golf course that opened in 1967. Designed by Bill Amick, East/North at Killearn Country Club measures 6702 yards from the longest tees and has a slope rating of 125 and a 72. 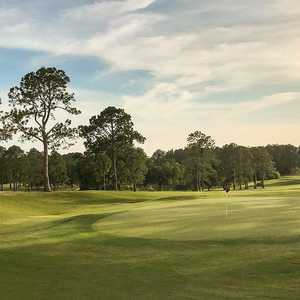 The 18-hole Golden Eagle Golf & Country Club in Tallahassee, FL is a private golf course that opened in 1986. Designed by Tom Fazio, Golden Eagle Golf & Country Club measures 6916 yards from the longest tees and has a slope rating of 130 and a 73. The 18-hole Golf Club at Summerbrooke in Tallahassee, FL is a semi-private golf course that opened in 1993. Designed by Dean Refram, Golf Club at Summerbrooke measures 6845 yards from the longest tees and has a slope rating of 140 and a 73. 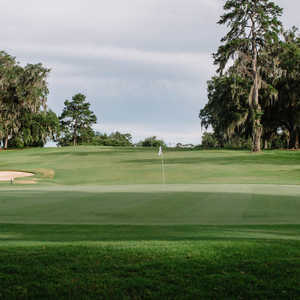 The 18-hole Hilaman Park Municipal Golf Course in Tallahassee, FL is a public golf course that opened in 1971. Designed by Lawrence Hughes, Hilaman Park Municipal Golf Course measures 6530 yards from the longest tees and has a slope rating of 113 and a 67. The 9-hole Jake Gaither Municipal Golf Course in Tallahassee, FL is a public golf course that opened in 1956. 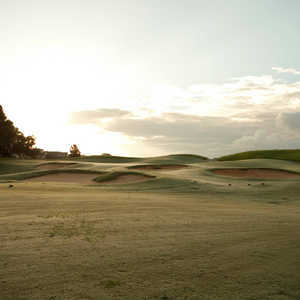 Jake Gaither Municipal Golf Course measures 3109 yards from the longest tees and has a slope rating of 114 and a 34. The 18-hole North/South at Killearn Country Club in Tallahassee, FL is a private golf course that opened in 1967. Designed by Bill Amick, North/South at Killearn Country Club measures 6758 yards from the longest tees and has a slope rating of 128 and a 72. The 18-hole South/East at Killearn Country Club in Tallahassee, FL is a private golf course that opened in 1967. Designed by Bill Amick, South/East at Killearn Country Club measures 6916 yards from the longest tees and has a slope rating of 129 and a 73. This Fred Couples-Gene Bates design meanders through high countries, low countries, secluded woods and open fields. The golf course is not revved up on gimmicks or architect steroids. SouthWood's routing flows seamlessly with the existing elements.